Technology is constantly changing and evolving. Finding the best technology for your organization can feel a bit like a moving target. As a business operating in the 21st century, it's important to focus on technology that will help you maximize efficiency while prioritizing digital safety. Technology doesn't slow down for anyone; check out these top four technologies to prioritize in your business. Over the past several years, cloud applications have made accessing, processing, storing, and sharing information easier than ever. Reduce IT costs by eliminating the need for hardware installation, maintenance, and repairs. Streamline performance and collaboration by giving employees the flexibility to access their work regardless of their physical location. Continue to grow by efficiently scaling to meet the needs of expanding operations. An application like Office 365 is a great example of what migrating to the cloud can offer you and your business. Office 365 is a great alternative to traditional Microsoft Office products that offers every great benefit of cloud computing at a fair, subscription-based price. This product also comes with software and security updates that would otherwise be foregone if you purchased an expensive Office software once and use that same version for a number of years. Though traditional Office software does not rely on internet connectivity, implementing a cloud application like Office 365 is a great way to reap the aforementioned flexibility and scalability benefits. Mandry Technology helps organizations implement cloud applications and migrate operations to new cloud computing systems. Automation is a growing trend in business. It’s everywhere. By eliminating routine tasks with automation software, companies can significantly impact operational efficiency. Today’s technology is capable of automating even the most advanced practices, including functions that are critical to IT end even those specific to your line of business. Let’s explore two examples to illustrate the possibilities. Patch management is one area where adopting automated technology helps businesses save time and money in their IT department. Software suppliers regularly release patches, or updates, designed to improve the usability, performance, and security of your computer programs. Patches are installed to fix bugs and close gaps in a program’s security, so it's very important that this is performed as quickly and efficiently as possible. Manual patch management can be incredibly tedious and labor intensive, especially for businesses with many different servers, end-users, and computer programs. Experts must manage patch releases and ensure that they are tested and installed without interrupting business operations. Automated systems take the guesswork out of patch management. With automated patching, the window in which your equipment is exposed during patching is also reduced, protecting your most vital systems in their most critical moments. Keeping our clients safe, secure, and up-to-date is our priority, and that's why we are invested in providing automation that keeps your IT working seamlessly and effectively. Ready to reap the benefits of security automation? A managed services provider like Mandry Technology Solutions is the way to go. There are plenty of opportunities for businesses to benefit from automation outside of their IT department as well. Chatbots, for example, are automated customer support bots that offer users customized, around-the-clock support. Chatbots are “always on” and enable companies to save time and money while still meeting the needs of the customer. With significant advancements in artificial intelligence (AI), chatbots are positioned to disrupt service-based industries, such as banking, retail, and hospitality. Customer support is only the beginning. Automation software is rapidly-evolving and there are many off-the-shelf and customizable options available on the market. Can my IT system handle this new software? How does this fit into my existing IT infrastructure? How do I implement this new tool securely and efficiently? To add peace of mind, our team can work directly with third-party software vendors throughout the implementation process. 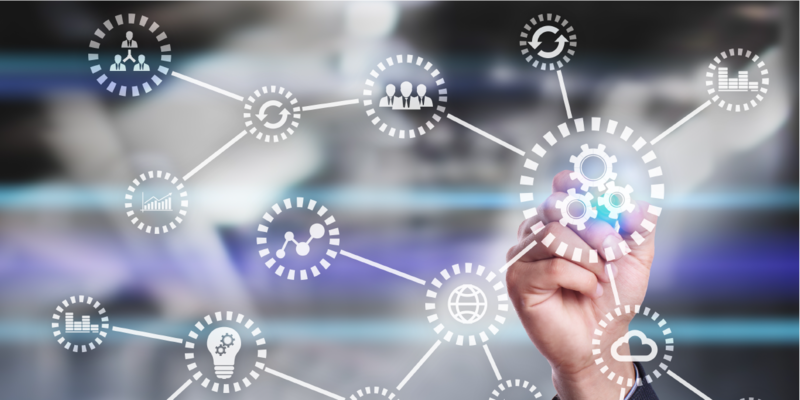 Cost reduction, reliability, and performance are among the many benefits that come with integrating automation software into your business operations. Regardless of its application, automation is an important step in maximizing your business' efficiency and reducing technology costs. Much like cloud computing, remote-access virtual private networks (VPNs) are a great resource for business on-the-go. Remote-access VPNs are used by companies to establish secure, encrypted connections between their networks and off-site devices used by remote employees. While early iterations of VPNs were often vulnerable to attacks and slow to transfer data, later versions have expanded to become a versatile tool for all types of internet users. Today, they offer businesses a secure, affordable, and efficient means of conducting business without being confined to a single physical location or being at risk for privacy and/or safety compromise. Though transitioning toward this type of system may sound intimidating, our team of professionals can help you decipher the lingo and find and implement a solution that's right for you and your business. It may seem like we bring up security quite a bit, and we do! But for a very good reason. Investing in cybersecurity is the most important step a business can take to keep critical information protected and ensure technology operates as efficiently and safely as possible. 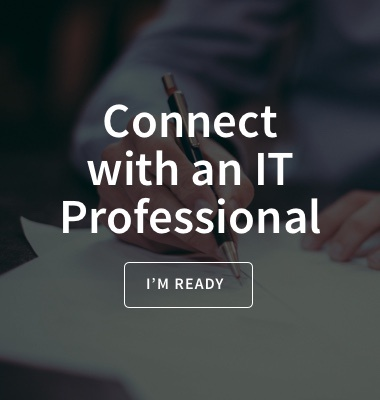 Managed service providers like Mandry Technology employ a team of experienced professionals that work to make your business’ cyber safety priority #1, giving you the confidence to focus on what matters most. MSPs are experts at identifying potential threats to your cybersecurity and working with you to develop a custom solution that works. No business is out of reach of the damage that a security breach can cause; act today! Need help with prioritizing? Start by assessing your current situation. Request an IT Assessment from the experts at Mandry Technology today. We're always ready to answer your questions! Keep up to date with Mandry.